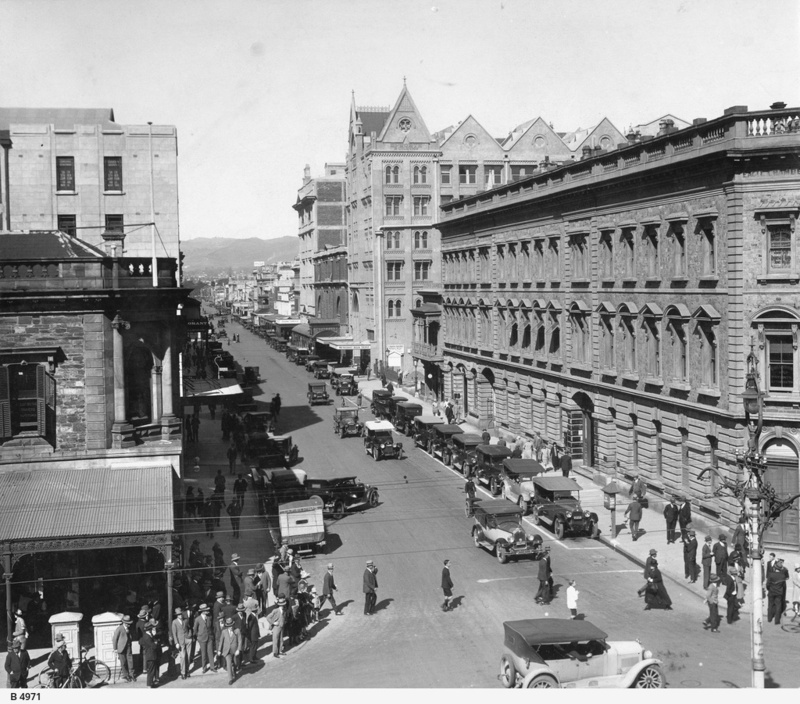 [General description] City buildings, cars and pedestrians on Pirie Street. On the right is Eagle Chambers, then the Epworth building. [On back of photograph] 'Reproduced in the 'Chronicle', December 15th, 1928 / Pirie Street, looking east from King William Street / 1928'.